The plan proposes to allow smaller multifamily housing projects in single-family neighborhoods. According to the new schedule, the advisory Planning and Sustainability Commission will be briefed on a revised economic report on the current version on Dec. 11 and on its final version on Feb. 12. They will vote to send their final version to the council on March 12. 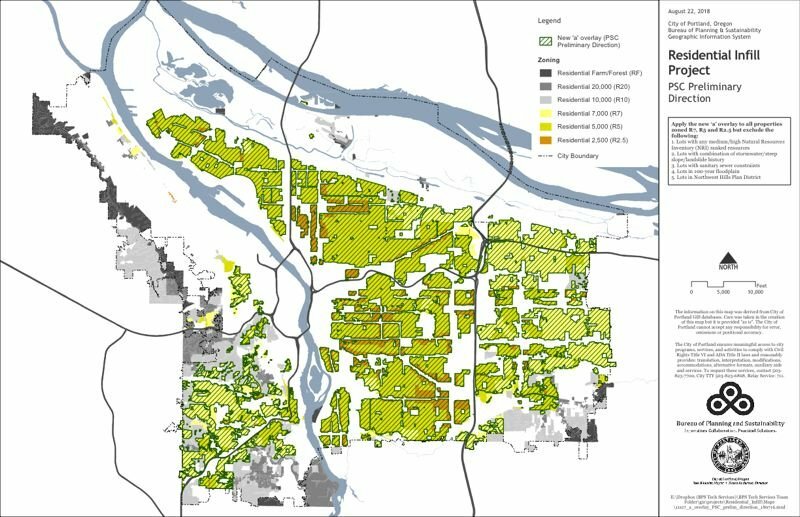 Meanwhile, the Multnomah Neighborhood Association has appealed the inclusion of the project's concept in the Comprehensive Plan update to the Oregon Court of Appeals. Its original challenge was rejected by the Land Conservation and Development Commission. To learn more, go to www.portlandoregon.gov/bps/67728. The proposed Southwest Corridor MAX line supported by the Portland City Council continued to move forward last week when both the Metro Council and the Tigard City Council endorsed the recommended route, known as the Locally Preferred Alternative. Many things still have to happen for construction to begin on the line in 2022 as tentatively scheduled. They include voter passage of a promised Metro regional transportation bond to help finance it at the November 2020 general election, and the federal government's agreement to pay half the cost, which currently is estimated at up to $3 billion. Both Metro and Portland have promised to help fund affordable housing projects in the corridor between Portland and Tualatin to help mitigate predicted rent and home price increases caused by the line, if it is built. The City Council approved 18 transit, bike and pedestrian projects in the urban core for funding on Thursday. The projects were identified by the Portland Bureau of Transportation during its Central City in Motion public involvement process. They are intended to reduce automobile trips and increase biking and walking in downtown and inner east side neighborhoods. PBOT is $9 million short of the being able to pay the full $38 million cost of all of the approved projects, however. During the hearing, the council did not approve a proposal by the Portland Business Alliance to remove all automobile lanes from the Transit Mall. Instead, the council approved PBOT's original recommendation of protected bike lanes on Fourth and Broadway.